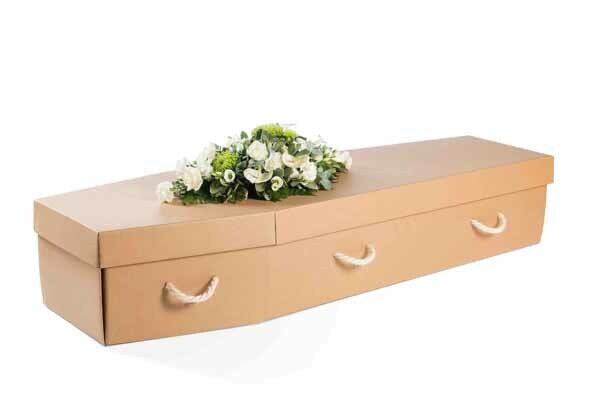 Constructed and hand-finished using rigid honeycomb cardboard.100% biodegradable. 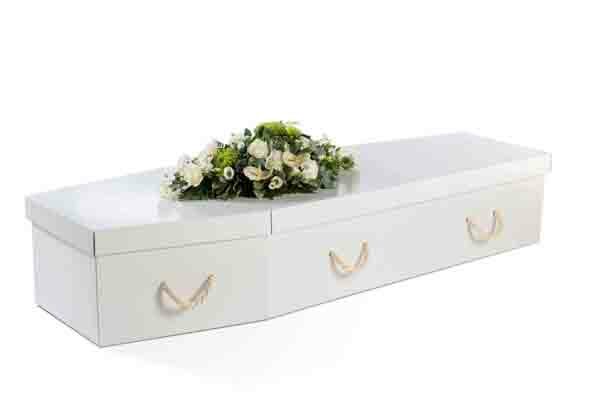 Can be plain or have rope or brass effect handles . 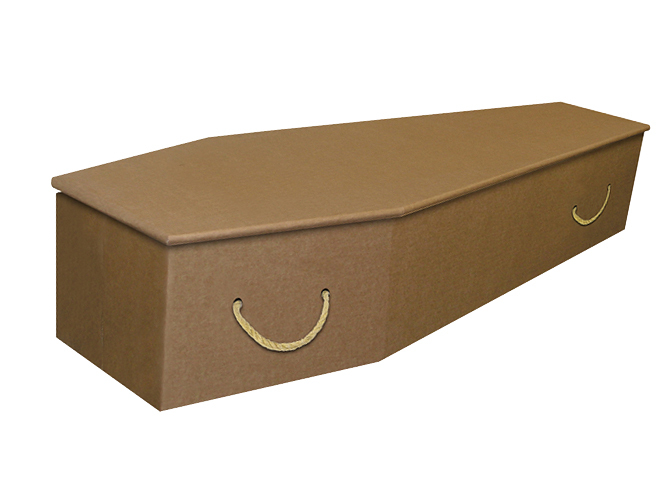 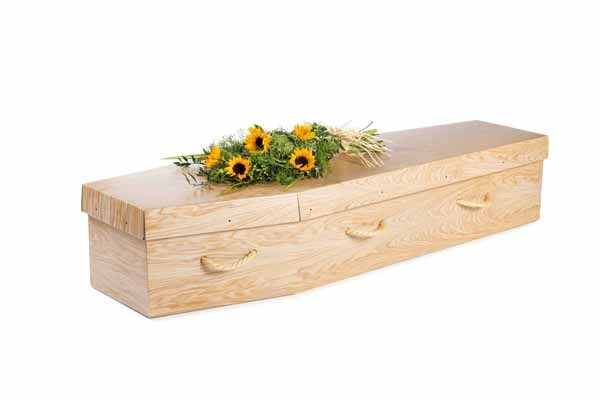 The Natural Coffin is made from 100% recycled cardboard.